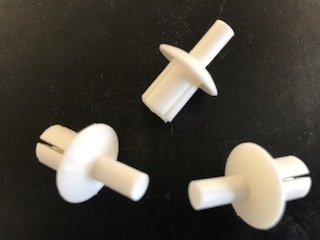 White Plastic 3/8-inch rivet with 3/4-inch head. Durable and long-lasting. Allows sign installation without removing post from ground as is required with aluminum rivets.